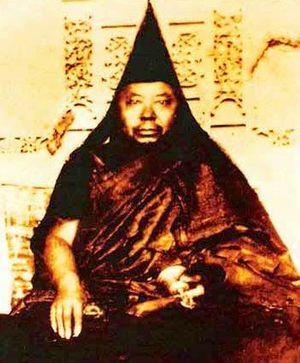 Katok Situ Chökyi Gyatso (Tib. ཀཿཐོག་སི་ཏུ་ཆོས་ཀྱི་རྒྱ་མཚོ་, Wyl. 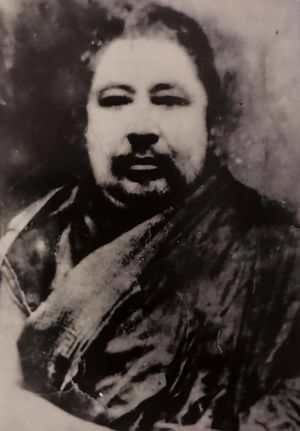 kaḥ thog si tu chos kyi rgya mtsho), the Third Katok Situ (1880-1923/5) — the nephew and spiritual heir of Jamyang Khyentse Wangpo and one of the great Mipham Rinpoche's foremost disciples, he was the main teacher of Jamyang Khyentse Chökyi Lodrö. He is well known for his famous pilgrimage guide to Central Tibet. Tulku Urgyen Rinpoche, Blazing Splendor: The Memoirs of Tulku Urgyen Rinpoche, North Atlantic Books, 2005, 'Ch. 14: The Master-Scholar Katok Situ'. Nyoshul Khenpo, A Marvelous Garland of Rare Gems: Biographies of Masters of Awareness in the Dzogchen Lineage (Junction City: Padma Publications, 2005), pages 436-440. This page was last edited on 31 March 2017, at 00:08.